I happened to buy 3 pieces zucchini for only three dollars at the market the other day. Don’t know what to do with them, I google searched for a recipe and came across my friend Zerrin of Give Recipe shared this quick bread recipe, Chocolate Yogurt Zucchini Bread. Zucchini doesn’t have a lot of flavour but it gives a nice moist texture and I love that this recipe little oil is used. With the yogurt and chocolate chips added also made this bread taste so delicious. Thanks to Zerrin for sharing this great recipe. combination, and on your photos it look very nice…. I have never baked with zucchini before. 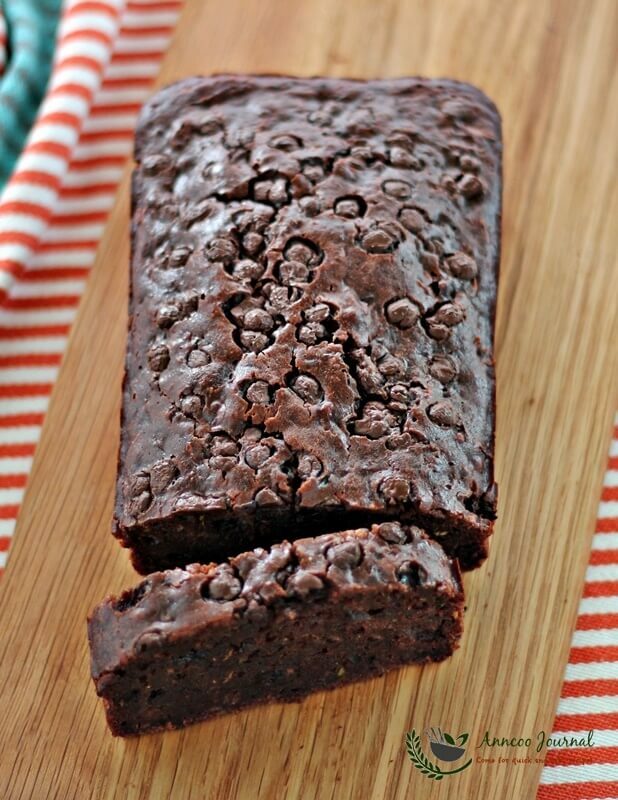 Definitely something I need to try – this chocolate, yogurt and zucchini bread looks so delicious and moist. Your zucchini cake looks so rich and beautiful! Looks so moist and chocolaty! Yummy! Ann, I love zucchini and the fact that it is inexpensive is even better! 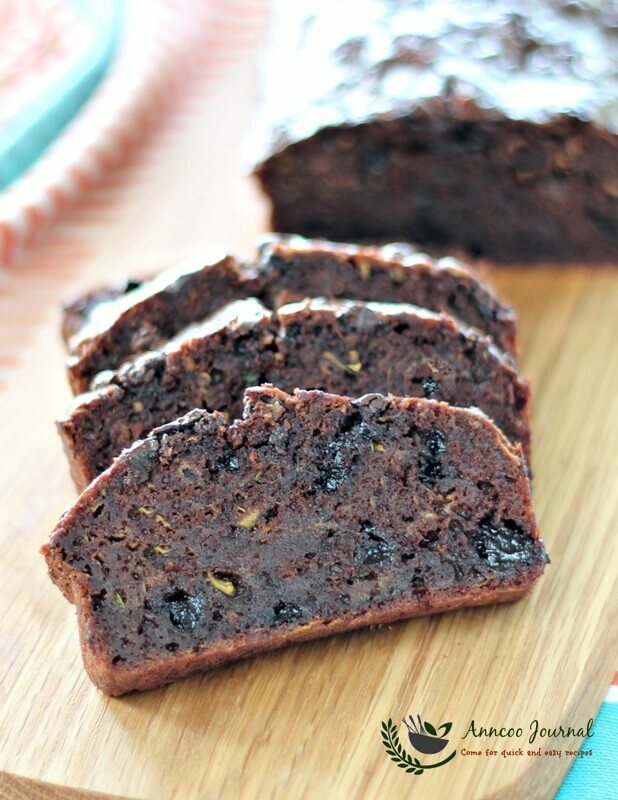 Your chocolate zuchinni bread looks moist and really packed with chocolaty goodness. I wish that I could have a slice! 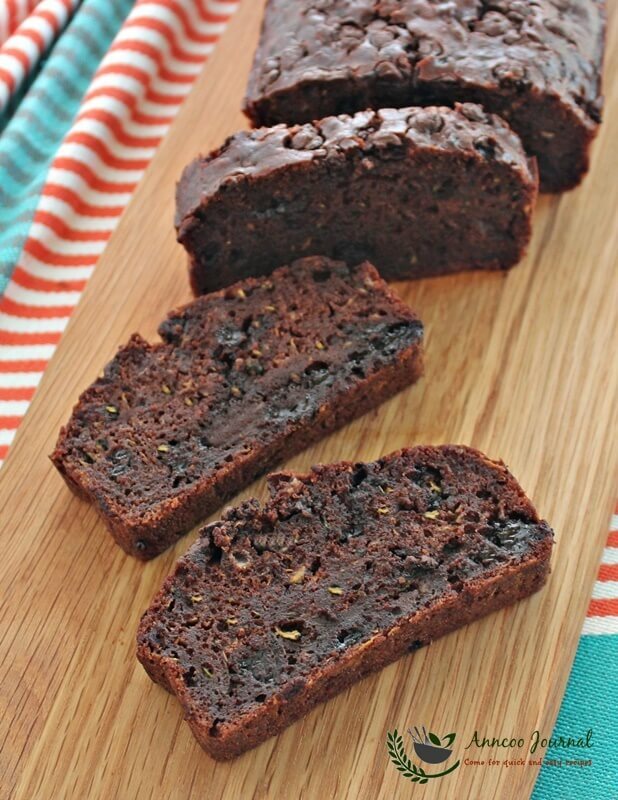 Chocolate in zucchini bread, that must be yum! I made a zucchini bread too but with dried berries. I agree with you, zucchini hardly gives any flavour but it does made the bread moist. oooh ooh ooohhh…. i love how this is so richly dotted with chocolate chips! with zucchini and yogurt, this must be absolutely moist! Oh, now I know zucchini is called 夏南瓜 in chinese, haha. Thanks for sharing! Hi Ann, I think in the past Phong Hong or may be someone else has made a similar recipe before. The green in this chocolate bread quite stand out in the pictures! Ann, I agree with you that zucchini contributes to a moist texture. This is easy to make. I still have one zucchini in my fridge. Can give it a try soon 🙂 Thanks for sharing this. Anyway, your Chocolate & Yogurt Zucchini Bread looks delicious! I sure wish I had a sliver to go with my tea.